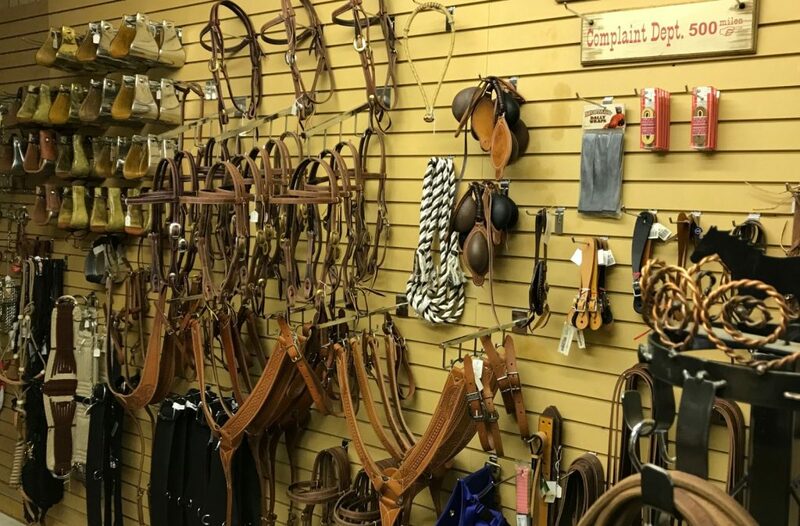 We spoke recently with the fine folks at Western Sky Saddlery. 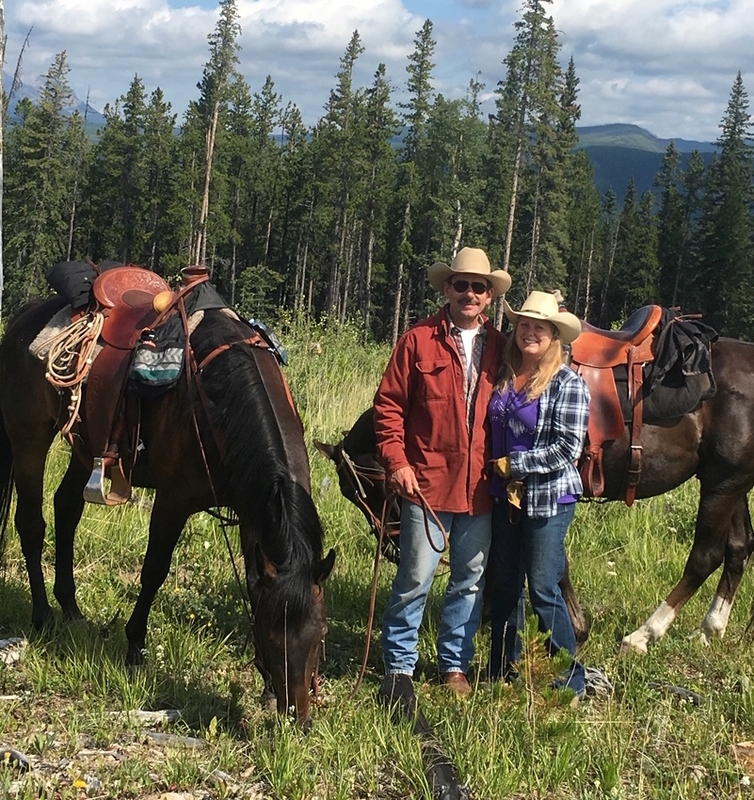 Terry and Elaine Welland have been running their impressive saddle shop from Carstairs, Alberta, Canada since 1995. In this interview, they explain their beginnings, their reputation for fine customer service, and how folks save money and time by buying from Western Sky. 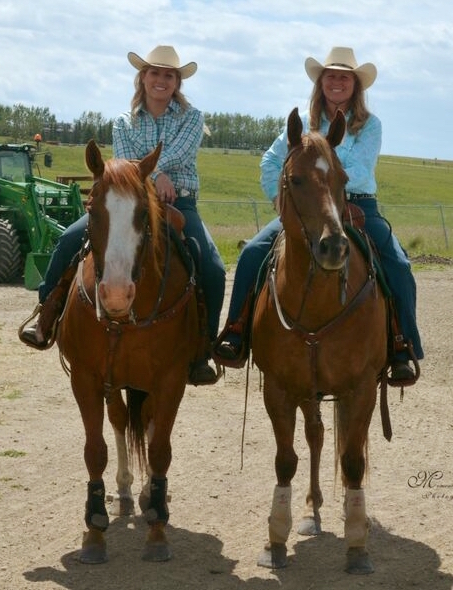 Terry: Elaine and I established Western Sky Tack & Feed in 1995 with rather humble beginnings. It started out as a small tack & feed shop located on our ranch but grew out of the building rather quickly. In 2001, we moved into a newly developed 5,000 square foot facility on four acres of land right on a major highway. Our product lines expanded to include men’s and ladies’ western wear, boots, hats, and gifts. We had a great staff and served a large trading area from Calgary north. In late 2007, we came to the realization that we had drifted somewhat from our core business. The clothing side was consuming our resources and was taking away from our ability to offer the highest level of service to our saddle customers. We had established a great working relationship with McCall Saddle Company back in 2001, and we wanted to continue building on that. The decision was made at that point to divest of the clothing lines and develop cowboyallday.com (the domain name for Western Sky Saddlery) to focus solely on our niche, providing a personal approach to saddle fit for the horse and rider. Coming into our 25th year in business we’re proud to have served hundreds of delighted customers from around the globe. Elaine: Both Terry and myself hail from prairie farming and ranching communities and both have business backgrounds prior to starting Western Sky. I had worked for a gas utility and Terry was in the industrial controls business. We always had horses and were involved with mostly Western disciplines like team cattle penning, team roping, ranch rodeos, etc. Our quarter horse breeding program produced some excellent stock over the years, and both of us have served on the local rodeo committee since 1996. Our kids were raised riding horses and involved in local 4H beef and horse clubs. Our daughter competed in barrel racing and went on to become rodeo queen in 2005. Now we mostly trail ride in the mountains and valleys close to home, and really enjoy the camping aspect. During parts of the year my daughter and I practice cutting at a local arena. We hear that customer service is what keeps folks coming back to Western Sky. Do you have any stories or testimonials to share? Elaine: There have been so many over the years. Every new phone call or email inquiry is an opportunity to make a new friend. People have varying degrees of experience and knowledge when it comes to saddle fit and finish, and we really make an effort to meet each individual at their level. Often it involves the sharing of basic technical elements of saddle trees. 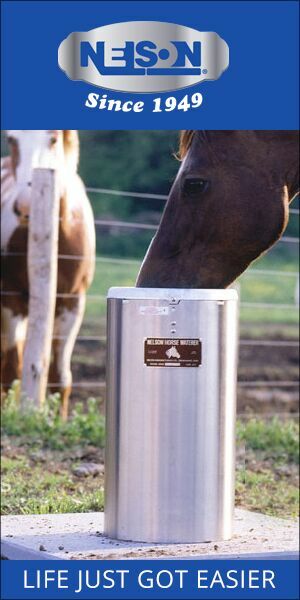 From there, we like to understand what types horses are being used, and what kind of riding they are doing. Often photos are emailed and discussions take place to determine a best fit. 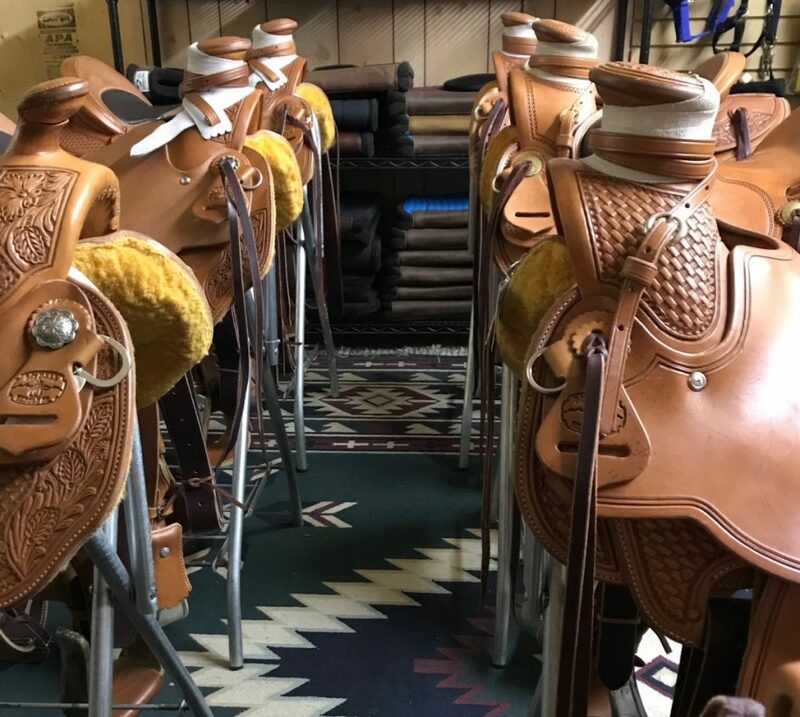 Custom saddles require several decisions, so we like to guide our customers through each attribute of the saddle. At that point we will quote the price and leave them to make a decision. Customer feedback is very important to us, and a good portion of our business comes from referrals. We also have trainers that come to us to help their clients through the saddle purchase process. Help us understand how buying from you in Canada is easier than it may appear. Terry: The process really is seamless and transparent. I would say roughly 75 percent of our saddles are shipped to customers in the US and abroad, so to simplify things we keep our saddles priced in US dollars. We accept Visa and Mastercard, although we do prefer to use bank to bank wire transfers which saves the customer and ourselves unnecessary credit card fees. In terms of shipping, the big brown UPS truck picks up at our shop and drops off at the customers door, and an email with the tracking information is sent allowing the customer to follow the shipment all the way through. The shipping cost is always broken out separately with the saddle quote so the customer knows exactly what those costs will be before they confirm. Given our Mom and Pop shop low overhead, our saddles prices are very competitive. We often get feedback that a saddle has landed at their house cheaper than the saddle price alone from another shop. Posted in Gear, Horsemen & Women and tagged Elaine Welland, McCall Saddles, Terry Welland, Western Sky Saddlery.